First shots of vintage figures turn up pretty frequently. But it's somewhat rare to see one that's never had its two torso halves sonic welded together. 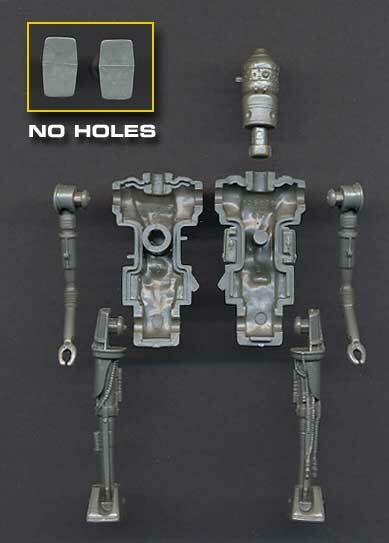 But this IG-88 fits that description. Here you see the front and back of the figure. It's completely unpainted. Here's a shot of the disassembled figure. Since the torso halves are not permanently fused, they can be split and the limbs and head removed. The inset image shows the bottoms of the figure's feet. 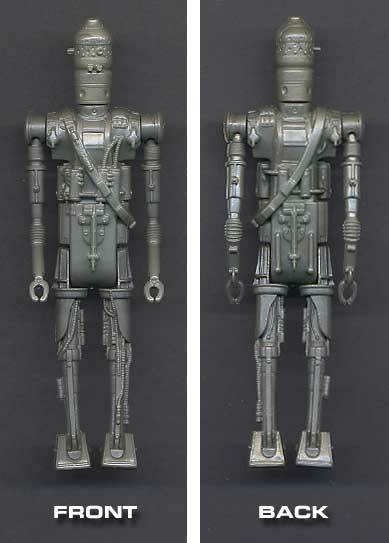 As is sometimes the case with first shots, the feet lack the peg holes found on all production Star Wars figures.